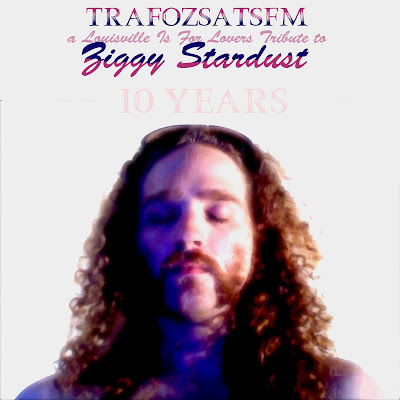 We are excited to announce that on Dec. 1st, 10 years to the day, we will be reissuing the TRAFOZSATSFM: A Louisville Is For Lovers Tribute album both digitally and as a limited edition 2 CD set. Both versions come with the original 14 track version with contributions from Wax Fang, Trophy Wives, Whistle Peak and others, but will also include 2 tracks originally only issued as singles by IamIS and Dangerbird as well as a hidden remix track, but the CD set will also include 2 alternate tracks never before released by The Phantom Family Halo and the Gallery Singers; as well as a '10 Years' remix by MC HIJACK. TRAFOZSATSFM Reissue can be pre-ordered here and will be available in Louisville stores on Dec. 1st. Phantom Family Halo will be playing their first Louisville show in 5 years at the TRAFOZSATSFM Tribute Show at Zanzabar on Saturday Dec. 29th. Tickets can be found here and at Guestroom Records.